What is an act of kindness. 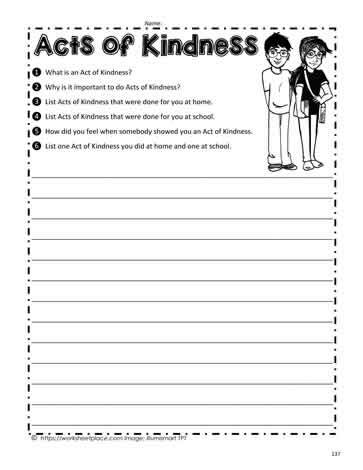 This act of kindness worksheet helps learners understand the importance of kindness. Kindness should be taught in every grade to help diminish incidents of bullying.